The latest version of Magic Action Box (MAB) Pro is now available for download in the members area. This is the third major release since we launched MAB and while most of the big improvements have been made “under the hood” – we refactored a lot of code to make way for the features we are planning for future releases – we also have some treats for our users. Share Box is the latest action box type added to MAB. It’s essentially an Opt In Form action box + social sharing, adding more opportunities for your content to go viral! Check out the Share Box below styled with one of our new styles – Purity. 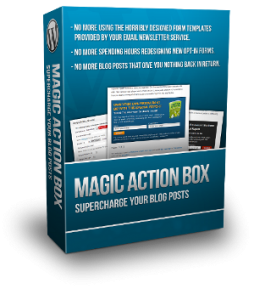 Magic Action Box is the Wikedly Simple Wordpress form builder that lets you create amazingly beautiful web forms in just a few minutes. Sign up now to get product updates and exclusive webinar access. P.S. We will never spam you! If you like to unleash the creative inside you and creating your own action box styles, you will welcome the switch to Global Styles. Where previously the action box style only applied to the action box it was created in, now styles are created separately and can be assigned to multiple action boxes. 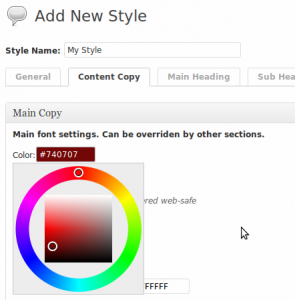 **Note: If you have previously created styles, you will need to use the MAB Update Tool to convert your styles to global ones. This tool will extract the styles you’ve created for your action box previously and save it as a global style under Magic Action Box Settings › Styles & Buttons menu. Get Magic Action Box Today! Click Here to Get Magic Action Box! Pasting it into a post does nothing. It displays the code when you publish it (on WordPress). It doesn’t work because it’s not HTML. You’d have to get into your php files.